If you've been accepted to The University of Toledo, registration for our orientation program, Rocket Launch, is now open! UToledo study finds craft breweries increase residential property values. While investigating why cholesterol-lowering drugs called statins cause negative side effects, cellular chemists discover several previously unknown benefits. UToledo scientists capture first newly hatched invasive grass carp within Great Lakes watershed. The University of Toledo was founded by Jesup Scott, namesake of our Honors College. We wear midnight blue and gold. Rocky and Rocksy are our mascots. UToledo researchers are making advancements each day in finding new treatments, therapies and cures to enhance the quality of life and longevity for those living with chronic disease. 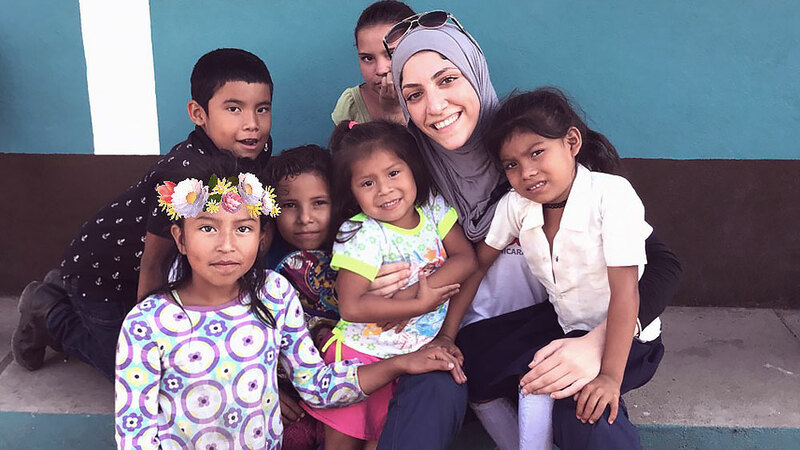 Meet some of our students. This could be you! 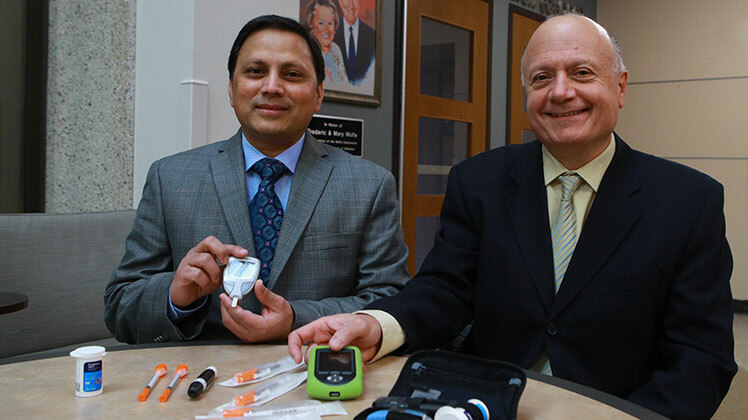 Researchers develop first mouse model that replicates the development and progression of Type I diabetes in humans. 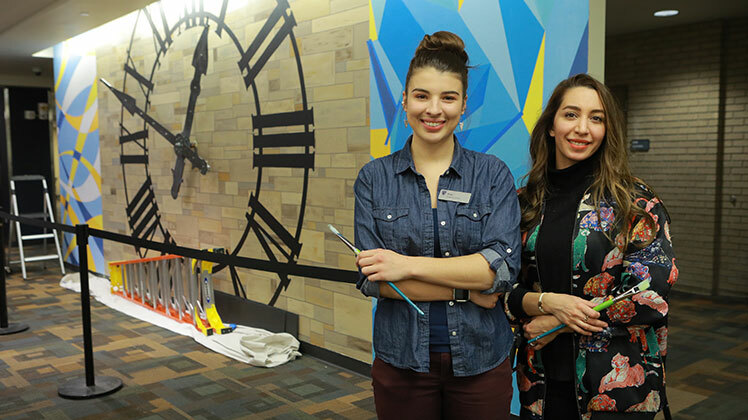 Students incorporate historic University Hall clock tower hands into mural at Carlson Library. 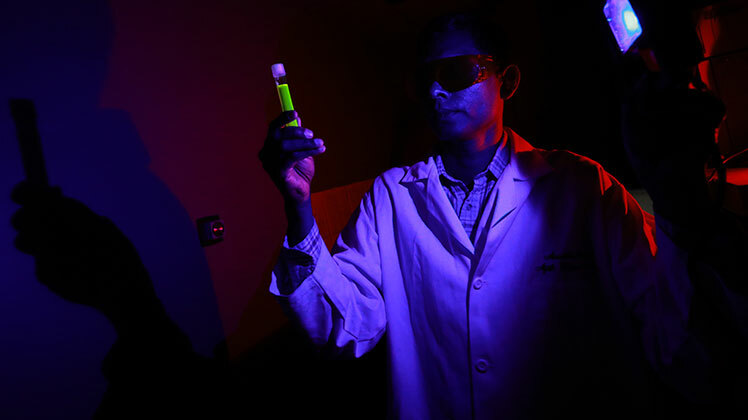 Blue light research is one of the top 100 most attention grabbing studies published in 2018. Campus operations to resume at noon. classes to resume at 2 p.m.
Campus operations will resume at The University of Toledo at noon today, Tuesday, Feb. 12. Classes that start at 2 p.m. or later will resume their normal schedule. More information at utoledo.edu/weather.